It’s that time of year again – Clarkston High School’s annual art show is back and full of unique artwork and amazing talent. 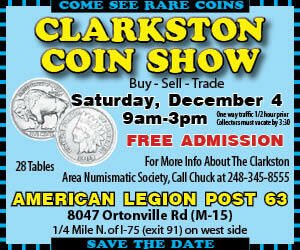 This event has been around in many communities for many years, and now it’s Clarkston’s turn. 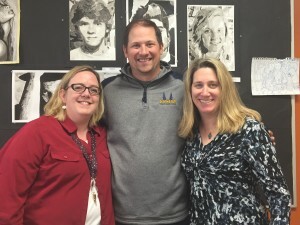 This past year, Clarkston High School started its first Art Club in order to push students to develop creativity and create any style of art they wish, placing some into the show. With Kevin Breen, Margaret Messina and Nichole Kaplan-Rudolph in charge, the show will exhibit multiple forms of art works ranging from paintings and photographs to 3-D projects, all made in various art classes throughout the school year. The show is meant to celebrate the hidden talents within the high school. “Every year we aim to give recognition to the unrecognized talents” said Kaplan-Rudolph, art teacher at Clarkston High School. This year, Clarkston High School will display the art pieces for parents and students from Thursday, May 12, thru Friday, May 27, in the high school library.